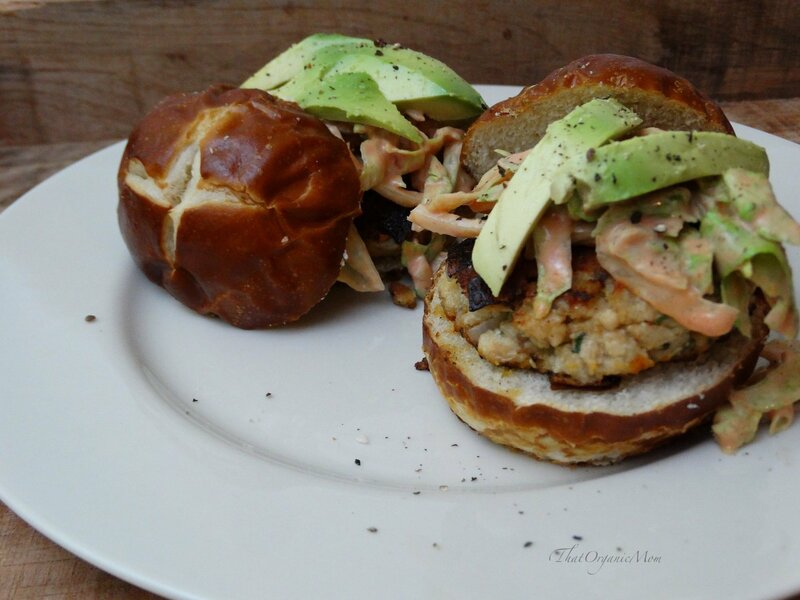 Make these insanely delicious salmon sliders for the entire family! There are many benefits for kids and adults alike when it comes to eating wild-caught salmon. You'll want to put this recipe in your recipe box and keep them in your menu rotation! 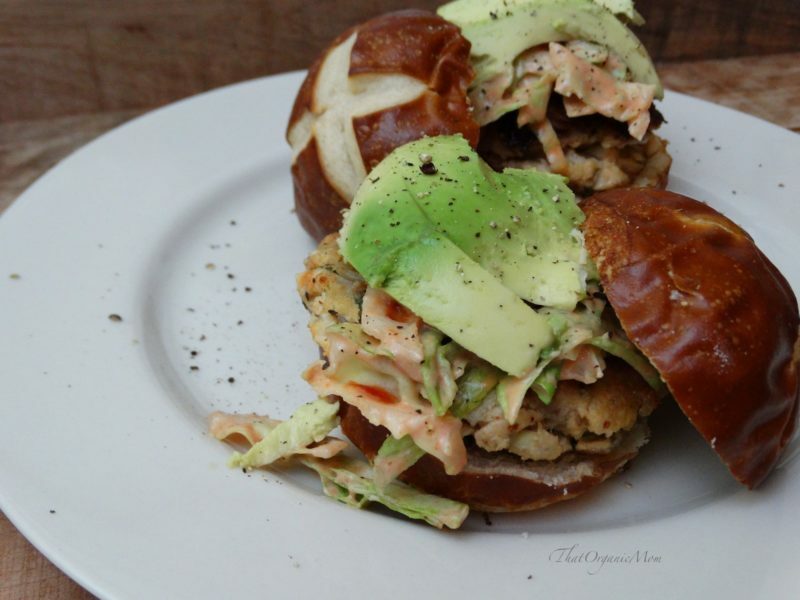 Kids will enjoy eating their salmon slider on a soft pretzel bun. 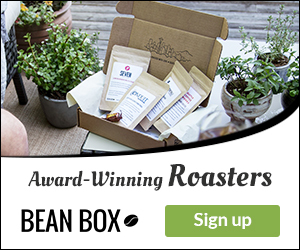 Don't worry though, if you follow a low-carb, Ketogenic, or THM lifestyle, I have options for you too! Keep scrolling! 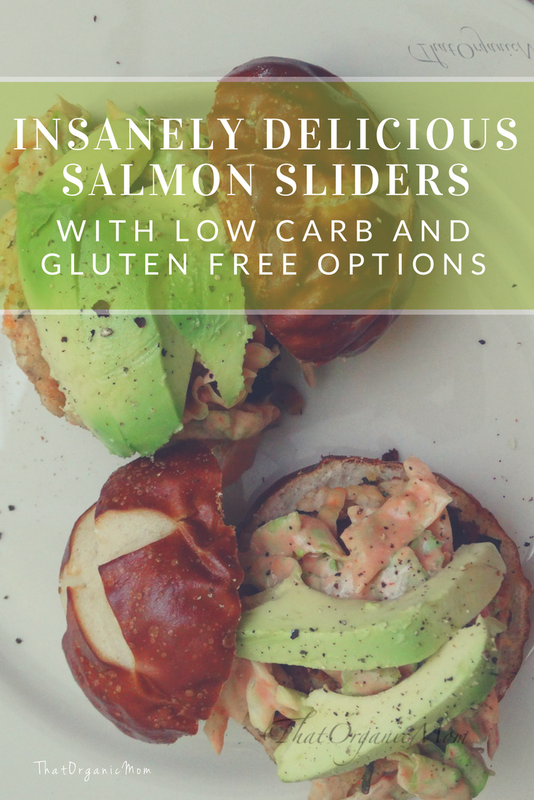 The inspiration for these insanely delicious salmon sliders comes from my family's all-time favorite hamburger recipe found in Jamie Oliver's book Comfort Food. He calls it the Insanity Burger. You can find this book in the TOM Cookbook Club collection. In the spirit of “standing on the shoulders of giants” in mind, I prepared my salmon burger incorporating one of the condiments recommended from Jamie's burger recipe. I highly recommend grabbing that cookbook and trying the Insanity Burgers, by the way. Since it's a good idea to get some healthy omega-3 fatty acids in our diet, I wanted to create a Salmon burger that would be just as delicious. 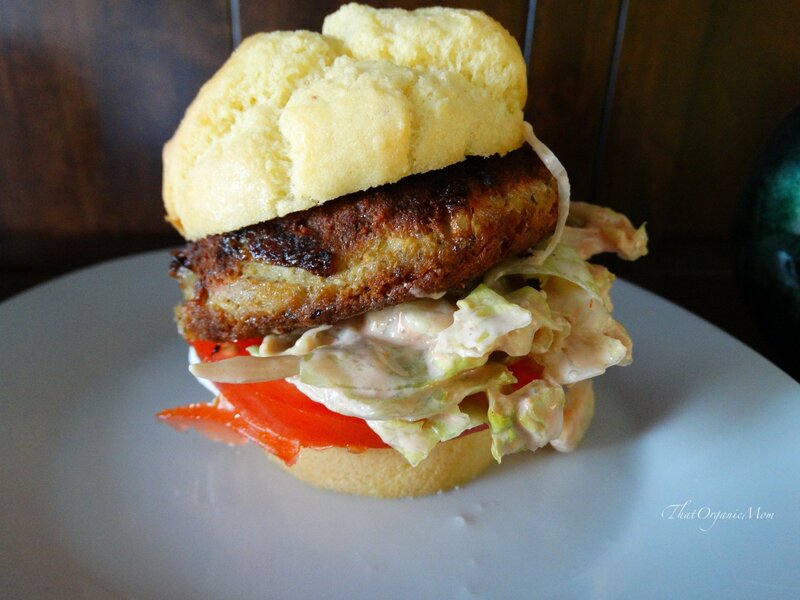 The two main elements that make these salmon burgers outstanding are are 1) the use of the mustard and hot sauce combo while cooking the salmon and 2) the lettuce, ketchup, mayo combo used in building the burger. The size of these burgers make them fun and easier to hold therefore perfect for kids! Cut or shred iceberg lettuce into small pieces and mix with mayo and ketchup, set aside. Oil pan and heat over medium, fry patties without crowding in skillet till first side is browned, flip. 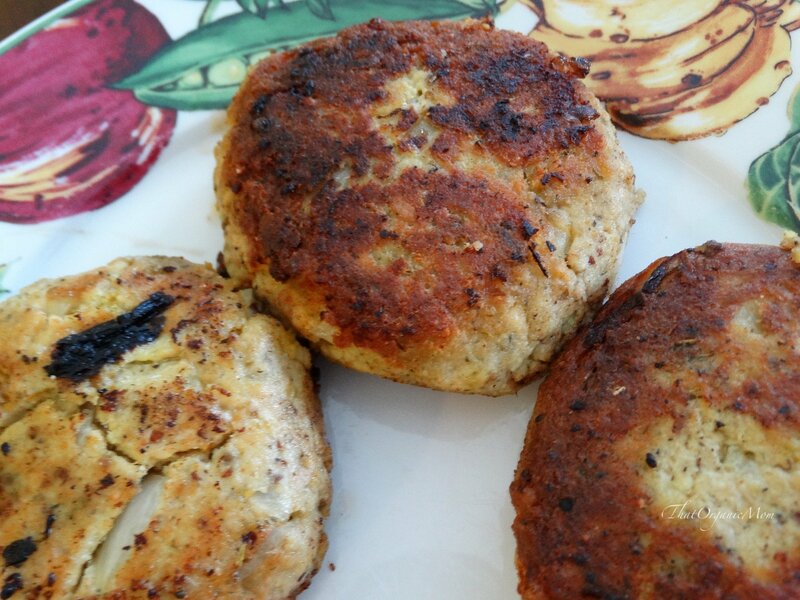 With a basting brush, gently brush mustard mixture on salmon patty after flipping, when 2nd side is browned, flip again and add mustard mixture to second side, so that both sides have been coated with the mixture. When browned on both sides remove patties. Depending on the size of your can of salmon you may need to adjust your recipe slightly, with 12 ounces of salmon (from two 6-ounce cans) a scant or with a 15 ounce can use a heaping, 1/8 cup of coconut flour. Mixture should be able to hold together fairly well without crumbling. Check out the following articles about salmon!